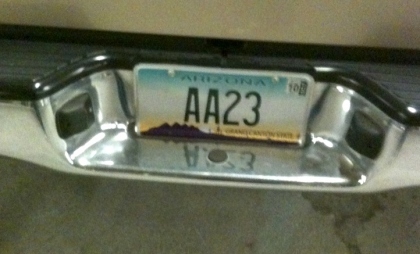 Pokerati, of course, has eyes and ears in parking lots all across the planet … and agents spotted this one on a Toyota pickup at the Talking Stick Resort in Scottsdale, AZ (a pretty shmancy-new Indian joint, it seems … oh, wait, more clicking … pretty sure this is Casino Arizona … all duded up now with a new name, hotel and golf course). Day 4 of the Detox Poker Series at the Hard Rock had the unique distinction to see a Pot-Limit Omaha event draw a larger field than a NL holdem event. The first tournament on Monday was the $350 NL Holdem event, which drew a field of 46 entries, with the top five making the money. David Rodriguez defeated Kyle Carston in a brief heads-up battle, taking down $6,210 and the championship trophy. Full results and the winner’s photo can be seen here. The 5pm tournament was the $350 Pot-Limit Omaha 8 or Better event, drawing a field of 60 players with the top six picking up cash. The final hand of the tournament came when play was three-handed, as Neil Legerski made a full house against Gary Bolden and Carol Lynn Kline’s low draws to take down the title along with $7,560. Full results and the winner’s photo here. Day 2 of the $1,000 NL Holdem Ladies Championship is down to 54 ladies, with newly signed member of Team Pokerati La Sengphet is the current chip leader with 296,000, busting Liv Boeree, who had been third in chips. Other notables in the field: Linda Johnson (104,000), Mimi Tran (67,000) and new Full Tilt pro Lacey Jones (32,000). Among those who’ve already made the money: Jess Welman, Maria Ho Jennifer Cox (Jan Brady in the Brady Bunch movies), and Bryce Daifuku, who has the “honor” of being last man standing. Former Pokerati writer Michele Lewis was knocked out just short of the money. Play will continue for six more levels or the final table is reached, whichever happens first. 2005 WSOP Main Event final tablist John “Tex” Barch leads the $1,500 Pot-Limit Omaha final table with four players remaining. Barch holds 2,025,000 in chips, while Trai Dang (830,000), Nenad Medic (765,000) and Klinghammer Thibaut (315,000) make up the remaining field returning from dinner break shortly. Christine Pietsch leads the remaining five players at the $1,500 Seven Card Stud final table with 610,000 in chips. Darren Shebell (471,000), Dan Heimiller (416,000), Owais Ahmed (216,000) and Richard Ashby (86,000) are looking to re-energize themselves on the dinner break in the hopes of overtaking the leader. Sorel Mizzi, who started as the chip leader at the final table, finished in 6th. The remaining 47 players in the $2,500 Limit Holdem 6-max event are returning from dinner break shortly, with the money reached with 36 players remaining. Brian Meinders currently holds the lead with 172,000 in chips. Notables looking to cash include: Chris Vitch (109,000), Rafe Furst (94,000), Michael Binger (85,000), Dutch Boyd (75,000) Phil Gordon (70,000), and Justin Bonomo (64,000). David “Bakes” Baker’s win in the 10k NL 2-7 Lowball event last night meant Bonomo won on his prop bets that a Panorama Towers resident would win a bracelet at this year’s WSOP. Day 1a of the $1,000 No-Limit Holdem event drew a field of 1,931 this afternoon, with around 600 returning from their 90-minute dinner break. The reported chip leader is Alex Kamberis with 22,000, with notables Alex Jacob (15,000), David Sklansky (10,000) and Tom McEvoy (8,700) among the dinner break survivors. The field will either play ten levels or around 280 players left in today’s field. The 5pm tournament today was the $10,000 Omaha Hi/Lo 8 or Better World Championship, which drew a field of 212 entrants. The top 27 make the money, with first place earning over $488,000. The early chip leader is Allen Kessler, taking his 30,000 starting stack to over 46,000 in early action. Among the numerous notables in the field, Scott Clements (41,800), Jennifer Harman (40,000), Mike Sexton (34,500), Matt Savage (33,000) and Tom Schneider, looking stunning in his Loudmouth Poker jacket (20,000). Eight levels await the field this evening. Our varsity captain was one of two Team ‘Ati players to cash for 4x his buy-in on his first event of the Series. While Harris took home nothing valuable Day 1 experience in his first $1k of 2010, the Arizona contingent showed up in force for the $1,500 O8B. Team members Pat Poels and Julie Schneider checked in, while Tom Schneider and Robert Goldfarb both mid-cashed. 81 total made the money, with Tom and Robert finishing 32nd and 29th, respectively, for $6,128 paydays. 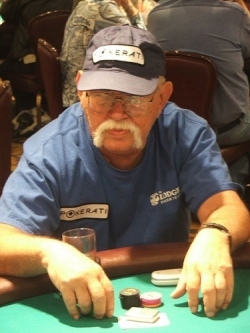 But the real Team Pokerati powerhouse emerging right from the summer git-go comes from our JV squad and Toothless Bob. I hope we’ll be hearing/talking more about him as the Series goes along, because he’s a great guy and an inspirational amateur … and he showed he is ready to tear it up playing the non-Rio WSOP offshoots. JV All-Star Toothless Bob – thus far the winningest player to don the upside-down spade in 2010. Anyhow, after heading back to Dallas to unretire (perhaps a bit with his tail between his legs, but always with his head up!) Bob eventually made it back to Vegas about six months ago, and says this time he’s staying for good. He’s still recovering from some pretty serious surgery, however, as less than a month ago, doctors finally removed a football-size cancerous tumor from his gut. But looking to re-find his joie de vivre, Bob entered Event #2 in the Binion’s Poker Classic — a $160 NL. Dan has already noted the final table of the 50k Players’ Championship, scheduled to start at 3pm in front of the cameras for ESPN. While Benjo and Pauly were talking about the final table, Dan was at home, doing an interview with the 2+2 Pokercast (starting around the 1:23:00 mark) to talk about the new-and-improved Rio as well as stories about the NAPT-Venetian and Jeffrey Pollack’s move to the PBR. Don’t forget to check out the links over on the right hand side! He follows Phil Laak discussing his upcoming attempt to set a Guinness record for longest single poker session ever. In what is scheduled to be the final day of the first $1,000 no-limit event, Drew Crawford is the chip leader at 800,000 when play resumes this afternoon at 3pm. Like last year’s $1,000 event, there may be a decision to hold the final table Wednesday afternoon if it play goes longer than expected this afternoon. Other notables remaining include Terry Fleisher (489,000), Eric Baldwin (479,000), and Champie Douglas (344,000). The complete list of players remaining is now online at PokerNews. Day 3 of the $1,500 Omaha 8 or Better event starts at 3pm as well, with three tables remaining as they play down to a winner. Sasha Rosewood starts play as the leader, with 389,000 in chips. Familiar names also returning: Dan Heimiller (211,000), Ylon Schwartz (166,000), Jeff Madsen (148,000), David Bach (107,000) and Huck Seed (57,000). 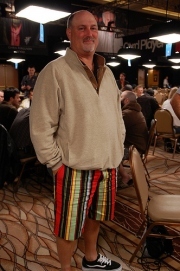 Team Pokerati pros Robert Goldfarb (29th) and Loudmouth Poker sponsor Tom Schneider (32nd) each earning $6,128. The full list of players remaining is at PokerNews. 223 players remain in the $1,500 NL Holdem when play resumes at 2:30pm this afternoon. 216 will make the money, leading to what should be a short hand-for-hand session. Stephen Foutty leads the field with 207,400 in chips, followed closely by Dwyte Pilgrim (202,000)and Chris Moorman (161,400). Other notables: Praz Bansi (118,700), Lauren Kling (62,800), Shaun Deeb (58,200) and Dewey Tomko (44,900). The full list is also at PokerNews. Two tournaments scheduled today, at 12 noon is the $5,000 NL Holdem Shootout, with a cap of 2000 players but expecting just a field of around 300. Last year, Peter Traply won this event in a field of 280, winning nearly $350,000. 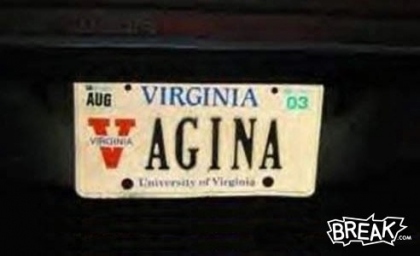 He’s parlayed this success into appearing in the top 50 for this year’s WSOP Tournament of Champions. Starting at 5pm is the $2,500 2-7 Triple Draw Lowball event won last year by Abe Mosseri, and with Team Pokerati’s own Julie Schneider finishing in 3rd. If she and Daniel Negreanu meet up at the same table again, will there be a new Twitter controversy? The $50,000 Players’ Championship reached the bubble earlier today with day 2 chip leader Kirk Morrison the unfortunate bubble boy, leaving 16 players guaranteed almost $100,000. At this time, Robert Mizrachi is the current chip lead with over 2.5m in chips, followed by John Juanda at 2.4m in 2nd. Michael Mizrachi is currently in 5th with nearly 1.7m while Nick Schulman, and Daniel Alaei have around 1m in chips with just 13 players remaining. The Mizrachi brothers are looking to be the first brothers to make the same final table since Ross and Barny Boatman performed the feat in 2002. (Thanks to a poster on 2+2 for that info). The $1,000 NL Holdem event reached the money within the first level this afternoon, and the pace has not slowed down, with under 200 players remaining at the end of level 14. The chip leader at the dinner break is Drew Crawford at 230,000. Play continues to the end of level 20 or the final table, whichever comes first. Around 120 players remain in the $1,500 Omaha 8 or Better event as they head to their dinner break. Phil Ivey, Allen Kessler, David Bach, Brock Parker, Andrew Black and Team Pokerati’s own Tom Schneider are some of the familiar names looking to make the money bubble at 81 players and the eventual final table. The $1,500 NL holdem event drew a field of 2,092, with 216 making the money and the winner getting over $500,000. 638 players will return after their 90-minute dinner break. The early leader appears to be online legend Shaun Deeb with 55,000 chips. Lauren Kling is unofficially in second with 45,000, while Antonio Esfandiari, Daniel Negreanu, Mark Seif and Joe Cada off to a fast start as well. Be sure to check the links on the right to find more content, live updates, and other WSOP-related stuff.